The mindful combination of technology and design keeps residents connected to their social networks while fostering independence in senior living. It’s well documented that people who feel lonely are at greater health risk both physically and emotionally. Of the primary contributing factors to isolation, many are directly related to growing older, including relocation to a care setting, the death of older friends and family, the loss of hearing or vision and the decline of cognitive function and/or mobility. Together these create a perfect storm for older adults struggling to maintain a sense of social and community connectedness. Combatting loneliness is not just about interacting socially or participating in activities. The type of social connection matters, too, the study authors note. Healthy social connection works to raise a person’s self-esteem and sense of belonging while fostering emotional caring and the sense of purpose. While engaging in activities and making new friends both have value, the ability to maintain connection with already-familiar relationships is just as vital, notes a 2018 literature review published in BMC Geriatrics. Several of the studies reviewed touted the merits of technology-based connectivity that goes beyond email and telephone. Tools such as video-conferencing and online groups can bridge the gaps between static communication and in-person interactions. Other key interventions to combat loneliness include learning new things (courses, workshops, skills classes) and participating in purposeful activities (charities, volunteer work creating meaningful things to donate). The IQ Home incorporates sophisticated technology into the living spaces, so friends, activities and community news are just a click away. 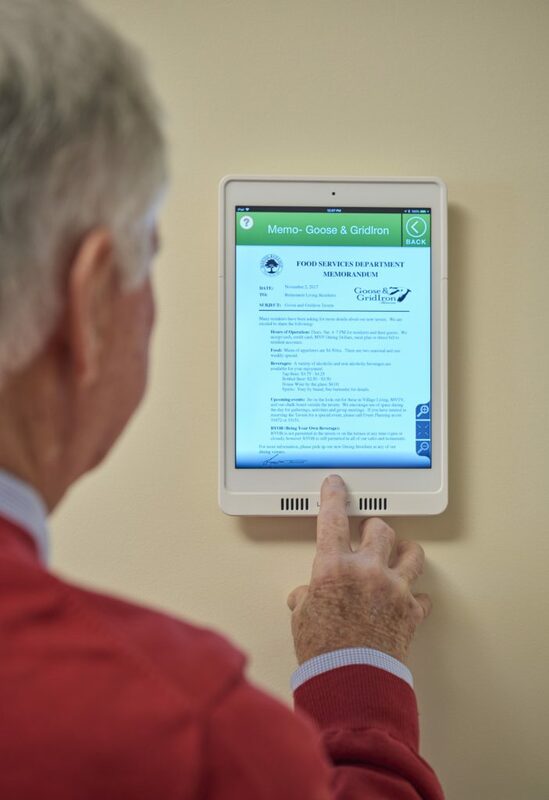 Through a partnership with K4Connect, residents stay informed of campus happenings through a personalized portal, share video calls with grandchildren, participate in social media groups online and search for information whenever they wish. The best ways to maintain healthy social connectivity are to stay in regular contact with existing family and friends, nurture family relationships to gain a sense of family support and inclusion and stay connected to the local community, whether it is by attending religious services, joining a community organization or participating in community events with family and friends. IQ Homes put powerful technology tools in residents’ hands in a user-friendly form, giving them the ability to reach out and stay socially connected—all while supporting success in the independent lifestyle they have chosen. To learn more about the IQ Home and its features for keeping residents connected to their friends and family, visit our IQ Homes Resource Page to download the free ebook, IQ Home: Purpose-Driven Technology Keeps Residents Connected. Posted in Senior Living, Uncategorized and tagged aging-in-place, IQ homes, senior living, smart homes, technology for seniors on November 8, 2018 by rlps. On an annual basis, more than one in four older adults will fall, and it’s the top reason for hospitalization in those age 65+. It’s also one of the top reasons why seniors have to leave their homes and enter assisted living. Interior and architectural design play key roles in creating a home environment that is safe, aesthetically pleasing and adaptable as the resident’s needs change. 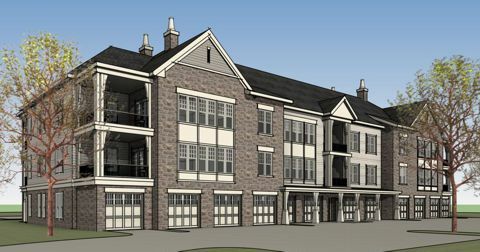 For the IQ Homes at Masonic Villages at Elizabethtown, Pennsylvania, RLPS Architects designed a new model of independent living that fuses mindful design with transparent technology to tackle the top safety concerns of older residents. Smart lighting design gets seniors from dawn to dusk without the dangers of too-dim or too-bright lighting. Sophisticated sensor technology monitors for dangerous patterns, including when a resident has been out of bed too long at night, possibly from a fall. 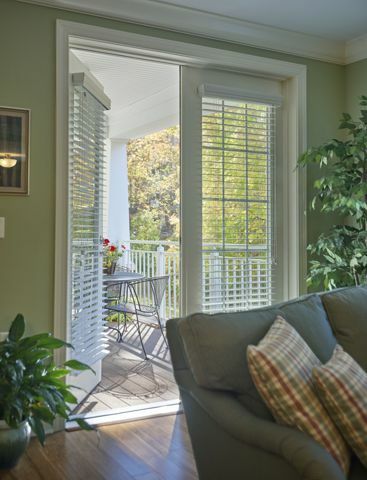 Zero-threshold entryways eliminate tripping hazards and enable easy use of wheelchairs and other mobility devices. The most popular place for a fall in the home isn’t the staircase, it’s the bathroom. Falls that occur in or near the bathroom have a higher correlation with hospitalization than falls in other areas of the home, the HERD study notes. 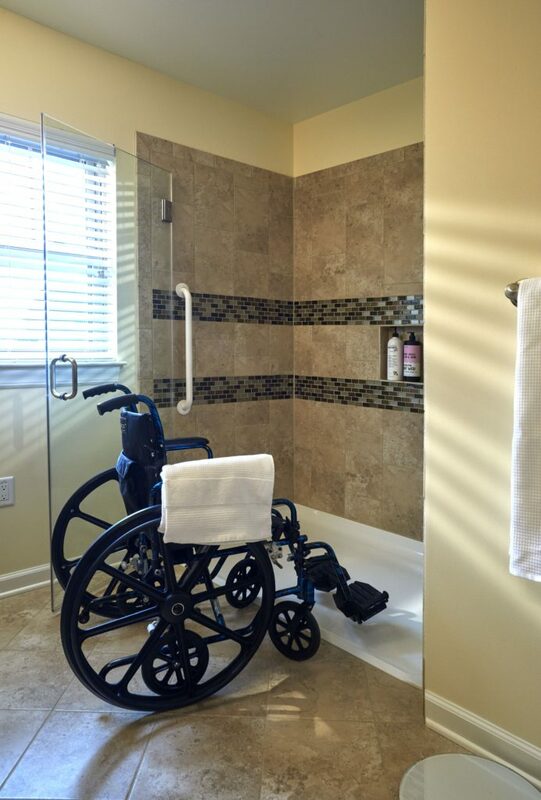 Zero-threshold flooring, roll-in showers, grab bars and height-adjustable fixtures provide safer toileting and showering without introducing an institutional feel. Breathing difficulties (COPD, emphysema, bronchitis, pulmonary edema and others) are among the top 10 reasons older adults seek treatment in an emergency room. Asthma is a special challenge for older adults, since even a mild episode can cause dangerous shortness of breath and the risk of respiratory failure, notes the Asthma and Allergy Foundation of America. The treatment of asthma in seniors also presents difficulties, as steroid-based medications can cause severe side effects in older adults or interact with other medications prescribed for common geriatric conditions. Controlling air quality within the home can reduce flare-ups from pollen, pollution and other irritants, lessening the chance of a breathing emergency and reducing the need for intervention medications. The IQ Home’s deliberate inclusion of sophisticated air filtering technology is the cornerstone of new research in how filtration impacts the reduction of hospitalizations and medication interventions due to breathing issues. Having a sense of safety and control over the home environment is a major part of living independently. Part of it is autonomy: Not having to ask for assistance to reach something, cook something or move from room to room. But much also relies on a sense of safety, knowing that technology and mobile access are working together to allow residents to control security lighting, door locks and garage doors with one click from a handheld device. Statistics show the overwhelming majority of older adults would prefer to age independently in a home setting. 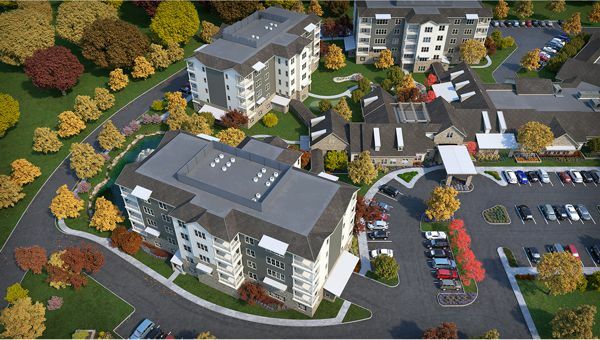 With mindful design, the IQ Home provides the safety, accessibility and confidence residents cherish while preserving their ability to live the way they wish. To learn more about the IQ Home and its features for enhancing the safety and ability of residents who live independently, visit our IQ Homes Resource Page and download the free ebook, IQ Home: Intentional design for resident safety. Posted in Senior Living, Uncategorized and tagged aging-in-place, fall prevention, IQ homes, senior-friendly design, smart homes, technology for seniors on November 8, 2018 by rlps.